On May 14, 1804, the Lewis and Clark Expedition rowed 4 miles up the Missouri River, beginning their epic journey to the Pacific. Eighteen months and 4,000 miles later, 31 men, one woman, and a baby reached the Pacific Ocean. On June 13, 2002, almost 200 years later, Bob and Mike Webster climbed into their homebuilt airplane and began their flight following the footsteps of Lewis and Clark. 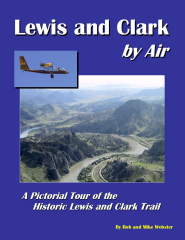 Lewis and Clark by Air documents the expedition's route to the Pacific with more than 500 photographs and 350 excerpts from the main journal and other journals of the expedition members. Consider the 200-year-old impressions of these explorers as you view the very same country they traveled, from St. Louis, to the Rocky Mountains, to Oregon. The contrast between now and 200 years ago is striking; the lack of change over the past 200 years is even more impressive in some cases along the route. Each photograph in this book has with it the date the expedition passed that point and the number of miles they had traveled to that point. This book is enjoyable to read, interesting, and highly informative. 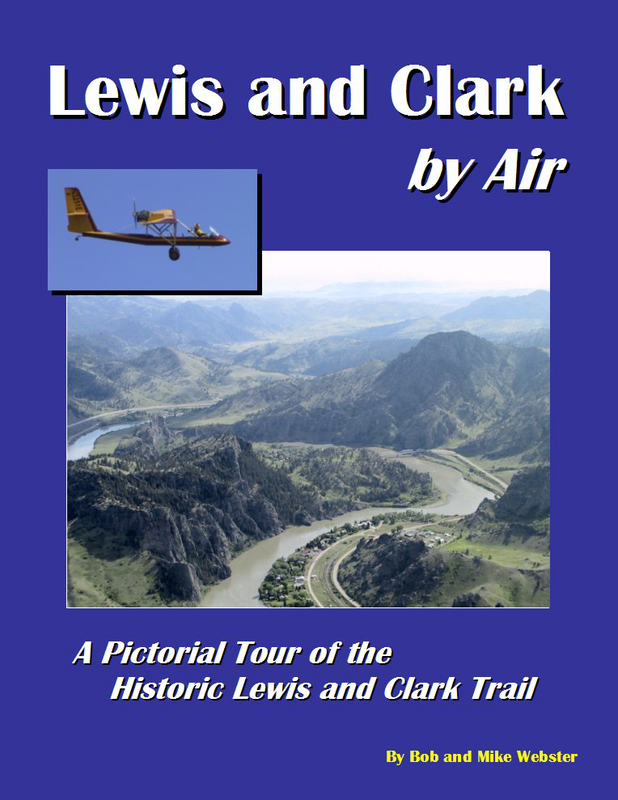 Free Lewis and Clark Explorer software is included with the book. 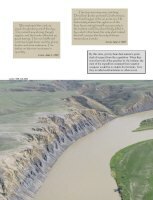 With Lewis and Clark Explorer, you can view photos of the Lewis and Clark Trail along with the original Lewis and Clark Journal entries for any day or mile range. You can also select an area on the map and view the photos and journal entries. Results can be printed, saved, or exported to a web page. Comes with CD containing Lewis and Clark Explorer Software!